Capital can be a pain point for many entrepreneurs. Despite the odds, many San Diego companies have found funding. According to the PricewaterhouseCoopers MoneyTree report, San Diego companies were involved in 23 venture capital deals and received more than $145 million in funding in Q4 of 2013. However, for a variety of reasons, overall venture capital invested in San Diego still took a dip between 2012 and 2013. The Triton Technology Fund will invest in companies affiliated with UC San Diego faculty, students and alumni with innovations in the software, communications, electronics, materials, medical devices and instruments sectors. The goal is to leverage breakthroughs in these areas to provide solutions for business-to-business enterprises. “Commercializing university research requires external expertise and investment. The Triton Technology Fund is going to accelerate the success of our innovators by injecting crucial resources into our entrepreneurism and commercialization initiatives here at the Jacobs School of Engineering and across all of UC San Diego and its alumni networks,” said Albert P. Pisano, Dean of the UC San Diego Jacobs School of Engineering in a statement announcing the fund. 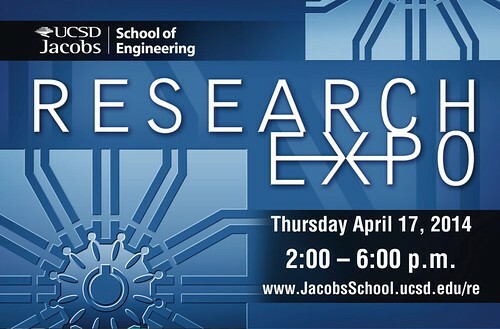 The Jacobs School of Engineering’s Research Expo, now in its 33rd year, also includes ten-minute faculty tech talks covering regenerative medicine, big data, video processing for medical applications, robotics education, wearable sensors, and aerospace safety. Registration is available onsite.